First off is one of the more necessary accessories – the thing that makes your Surface truly feel like a laptop. The Surface Pro 4’s new type cover provides the best typing experience yet on Surface, even offering a glass trackpad that’s 40% larger than its predecessor. The new type cover is compatible with both the Surface Pro 4 and the Surface Pro 3, comes in plenty of colors for the style-concerned consumer, and even has a version with a fingerprint ID pad so that your Surface is more secure than ever. The Surface Pen is a fantastic peripheral that comes with every Surface Pro 4 and Surface Book, and is built to make you feel as if you’re writing with pen and paper. The Surface Pen doesn’t need to be charged (electing to be replaced annually rather than making you feel like you need to hook your pen up to a charger every day) and it has 1024 different levels of sensitivity to make you really feel as if ink were flowing from the tip. This peripheral is not only useful to artists who need a nuanced artistic tool, but to anybody who prefers taking free-hand notes, or just prefers the feel of a pen to their finger while using a tablet. The Surface Pen also comes equipped with an eraser that can clean up any mistakes you make while writing. If you want more than just the one pen, you can pick up the Surface Pen Tip Kit. The kit comes with 4 different tips to put on your Surface Pen, allowing you to use whichever one feels the best for whatever you’re trying to use it for. Feel more comfortable writing with a thin tip? Prefer drawing with a thicker one? The Surface Pen Tip Kit offers you plenty of versatility to use the pen best suited for the job at hand. If you like your Surface Pro 4 but lament at some of the ports it’s lacking, then the Surface Dock is here to save the day. The Surface Dock adds on 4 USB 3.0 ports, an Ethernet port, 2 Mini DisplayPorts, and an external power supply. This accessory should give the Surface that extra kick that some people want out of their laptop, making it more versatile for whatever you might need it for. The Surface Dock works for Surface Book, Surface Pro 4, and Surface Pro 3. Finally, if you’re the sort of person who does everything on their phone, the Microsoft Display Dock should be something to keep your eye on. 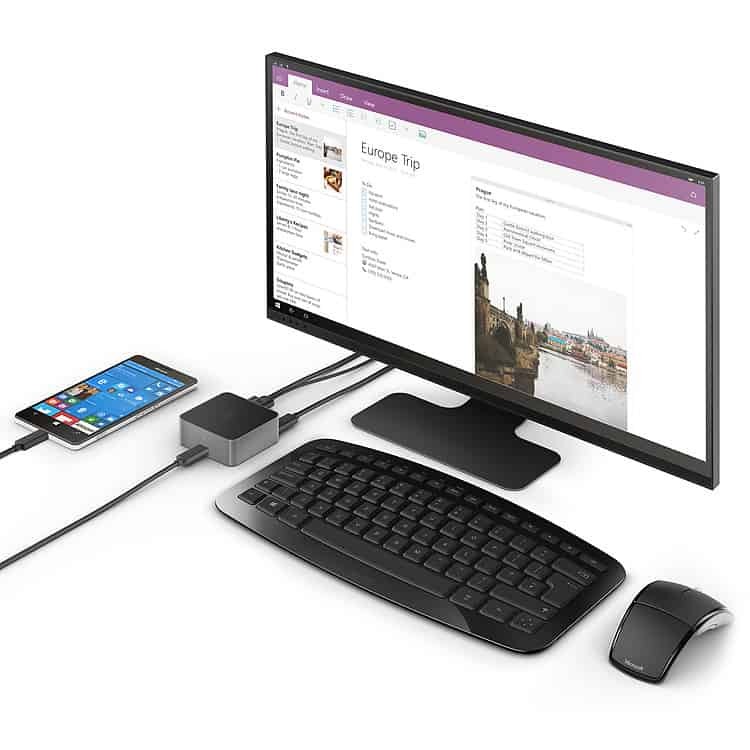 The dock allows you to to plug in your Lumia 950 or 950 XL directly to a monitor, mouse, and keyboard. This lets you use your phone exactly like a PC, running with a smooth 60 FPS at 1080p. Whether you need to write a long email and your laptop isn’t available, or if you just don’t have a PC, this dock is amazing for when you need to be more productive with your phone. The accessory lineup that Microsoft has releasing in the near future is pretty mind-blowing, and there should be something here for everybody. Whether you want to be more productive at work, want to be a better artist, or just want to be on the cutting edge of gadgetry, you should take a peek at what accessories Microsoft has rolling out. Do any of the new accessories interest you?